We are proud to have continued support from over 80 suppliers throughout the years. Although famous for NESCAFÉ and Kit Kat, the two main brands of their UK company, Nestle are not only a coffee and chocolate company! 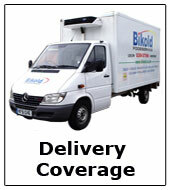 Bikold also source a huge range of grocery items from Nestle which you can see in the dry section of our price list. For more than 65 years, Rowe’s have been one of Cornwall’s best-loved bakers. Every day since 1949 they have put their heart and soul into baking, following a very simple recipe. Customers love the award winning pasties, pastries and sweet treats for everyone! Unilever Foodsolutions is the dedicated foodservice business of Unilever UK Foods, encompassing many of the worlds leading brands including PG Tips, Lipton, KNORR, Flora and Hellmann’s. Brands have a key role in the product and brand strategy of Unilever Foodsolutions, communicating the personality, heritage and reliability of our products. Unilever Food Solutions have partnered with the Sustainable Restaurant Association to create a complete waste audit and waste reduction toolkit so you can start saving money and do your bit for the environment.Why not check out our "Wise up on Waste" website for useful information..
At McCain, we're dedicated to maintaining the standards that have made us Britain's favourite chip manufacturer. Our foods are made with quality in mind. From simple Oven Chips to our Potato Gourmet range, we take pride in all our products. 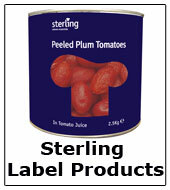 Premier Foods is the UK's largest food producer. More than 99% of all UK households bought a Premier Foods brand last year and 43 million people eat one of our branded products every two weeks. Trust, sustainability and credibility are extremely important factors in the Dr. Oetker family business. Established over 100 years ago in Germany, the business has developed with these values at its core and now enjoys a reputation as one of the most trusted food brands internationally. Founded in 1886 by pharmacist Dr John S Pemberton in Atlanta, Georgia, The Coca-Cola Company is the world's leading manufacturer, marketer and distributor of non-alcoholic beverage concentrates and syrups, and produces nearly 400 brands. The Coca-Cola Company continues to be based in Atlanta, USA, with operations in over 200 countries. With 150 year history of creating the finest pastries and breads, Schulstad Bakery Solutions stands proudly upon its heritage and expertise, whilst embracing the most modern baking techniques. 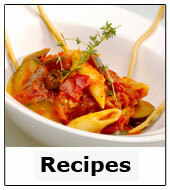 The KK Finefoods dishes have a distinctive homemade appearance, quality and taste. These qualities maintain their place as one of the pioneers in the convenience ready meal sector. Gourmet Classic have created the perfect range of culinary cooking wines, spirits and liqueurs by reducing the alcohol content and enhancing the flavour. This creates unique and distinctive tastes in your dishes, allowing you to add value and increase margin with confidence. D. Sidoli & Sons is a leading supplier of desserts to the foodservice industry both here in the UK and for a number of EU countries. Many of our products are made with recipes handed down through generations of the Sidoli family. We are also constantly improving and developing new products. With bakery choices for every serving occasion, Kara Foodservice pride themselves on a diverse family of leading products. Panesco supply a wide selection of high quality, authentic speciality breads, viennoiserie, patisserie and savoury products from all over Europe. With Panesco you can be assured of an extensive selection of high quality, beautifully presented, authentic products ideal for your customer. McWhinneys only use the best cuts of pork in their quality McWhinney's Irish Pork Sausages. They believe in quality and want every outlet - from restaurant to takeaway - to stock McWhinney's, charge more for them and stand back and watch profits soar through satisfied customers, increase sales and repeat business. Speciality Breads Ltd, are artisan bakers of fine breads to the foodservice industry. We believe in quality without compromise in everything we do, using only the finest authentic ingredients and recipes for our breads. Peakhouse Foods Limited excel in Foodservice Excellence, supplying the UK and Europe with top quality Quiches, Savoury Pies & tartes, Dessert Pies & Cold Cutting Pies. For over 200 years, the Young's name has been associated with great seafood. Now that heritage is combined with our global sourcing, technical, marketing and chef skills, confirming Young’s as a world class independent food company and fish specialist. Lutosa is a family-owned group of companies specialising in the manufacture and sale of potato-based products for human consumption. Their current range includes a wide selection of pre-fried frozen and chilled French fries, a broad range of frozen and chilled specialities and a dehydrated product (potato flakes). Nestled in the heart of the Cotswold countryside their trained winemakers have been caringly crafting this range of drinks since 1989. The exclusive bottlegreen range includes cordials, sparkling pressés, sorbets and sorbet lollies which are guaranteed to leave a lasting impression on your palate! A wealth of knowledge, a history of making fish products, experience and dedication over many years… this is what you find at Havelok. From the early days in the centre of Grimsby next to the old market, to the brand new Grade 1 BRC approved factory on the outskirts of Grimsby – you are safe in the knowledge that the product you buy from Havelok ticks every box. Amore di Gelato has been developed by a family run company Ercolano UK Ltd, headed up by Mike Godwin and supported by a dedicated team, with a combined experience of over 60 years within the UK ice cream industry. Wrap Film Systems Ltd, is Europe's leading cling film and foil convertor to the catering and hospitality industry. With 30 years experience they are shaping the future of dispensing film and foil with our award winning Wrapmaster refillable dispenser. Family bakers since 1926. Wrights is a premier brand which has escalated in popularity due to the company’s quality and craft approach where the products retain a handmade presentation and so look so temptingly good. Calder Foods Ltd are specialist manufacturers of an extensive range of Sandwich Fillings, Marinated and Cooked Meats, Salads, Chutneys & Sauces. Graham Whittle founded Whitby Seafoods back in 1985. He now steers the ship with his daughter, Laura, and sons Edward and Daniel. We catch our beautiful British scampi off the coast of the British Isles and we source all sorts of other sustainable seafood from the best locations around the world. We've even won a couple of Great Taste awards. Caterers Choice is one of the UK's most trusted suppliers of quality imported Food and Drink to a variety of home markets. 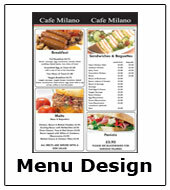 Our clients include a multiplicity of food service distributors and many leading end users - contract caterers, hotel and restaurant groups, sandwich makers, manufacturers and school authorities. What's more we are constantly striving to increase our range of premium products in a way that offers both quality and value for money to our clients whilst at the same time accurately reflecting the ever-changing tastes and demands of the consumer. Cooldelight Desserts Ltd was established in 2005 as a specialist manufacturer of ice cream and frozen dessert products for the Education & Healthcare Sectors of the Foodservice market. Our portfolio specialises in products suitable for use in the unique Education & Healthcare Sectors, with pricepoints that allow regular use in menus across both sectors. Most of our products have a nut-free status and most products are also low in fat and sugar, free from hydrogenated fats and free from contentious additives that should be avoided by children. In addition, most of our products are also vegetarian and coeliac suitable. DPP is a third generation family company proud of supplying high quality chicken products directly to restaurant clients in the South and trading partners across the United Kingdom and Ireland. Just as it should be "made on the farm" from Milk supplied by thier own Dairy herd "fresh double cream from a local independent dairy" and using only the best natural ingredients. The Handmade Cake Company have won 25 Great Taste Awards in the last 11 years and have been baking their cakes by hand for over 30. Whatever area of the Food Sector you are in, Seahawk can help you with the development of and use of fish within your business. Buchanans is the proud brand name used by our company, W.G. Buchanan & Son Ltd, which has been sourcing and supplying natural food ingredients since 1871. With this wealth of experience they have selected the best suppliers from around the world to supply a top quality, value for money product range, which includes cereals, pulses, rice, pasta, dried fruit and culinary nuts. The Central Foods range consists of over 300 product lines, from burgers, sausages, savoury suet puddings and desserts through to poultry, free-from, vegetarian lines and hand-made canapés. In fact, they have a product to suit all market sectors. Makers of the popular fizzy mixed fruit juice drink made with the delicious secret Vimto flavour, sugar and sweeteners. Wessex Foodbrokers Ltd was established in 1992. Now based in the village of Rowlands Castle, Hampshire, Wessex has developed a reputation as a supplier of quality and gourmet products to the grocery and foodservice sectors. A Sussex based company which produces fruit juices that have unique provenance and authenticity.